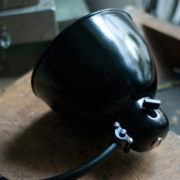 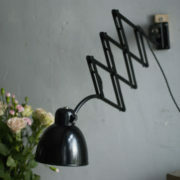 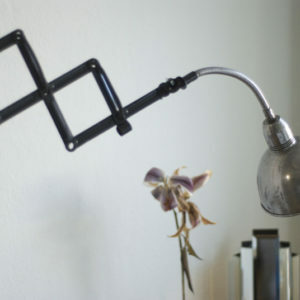 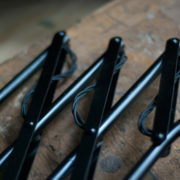 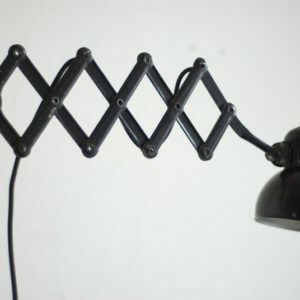 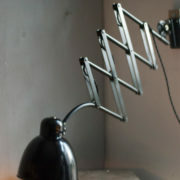 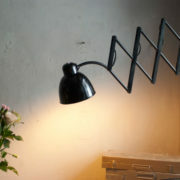 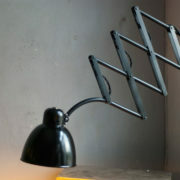 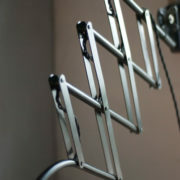 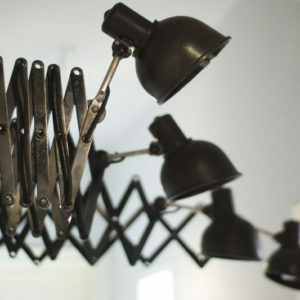 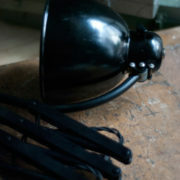 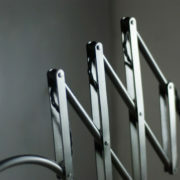 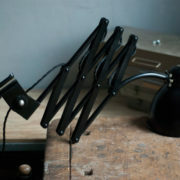 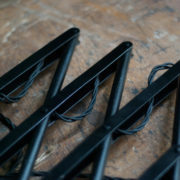 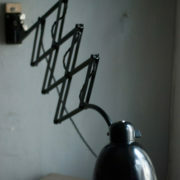 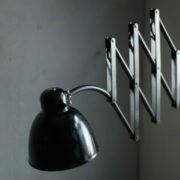 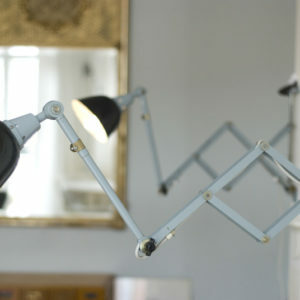 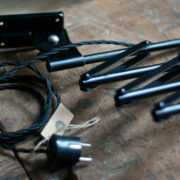 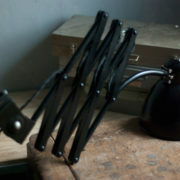 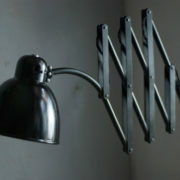 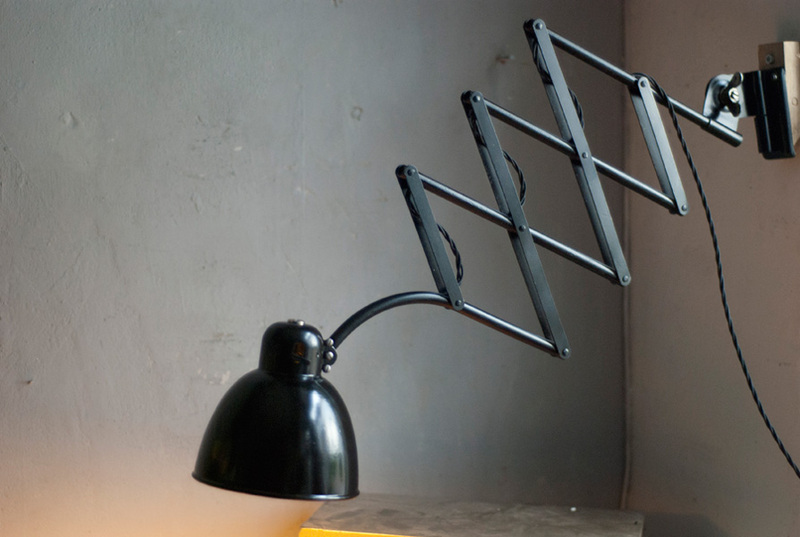 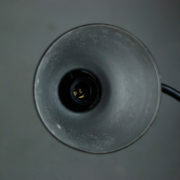 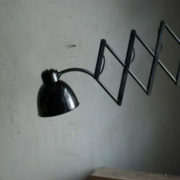 Nice Bauhaus black scissor lamp similar to Hala. 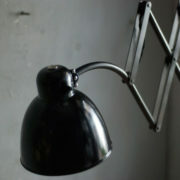 Its restored condition is very good. 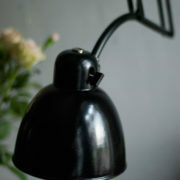 The lamp has a few signs of wear consistent with its age and use and the shade a northworthy patina.